Not too much to explain here! I started with the white base, and used a small nail art brush to paint on the grey markings. I added the black outlines, making some of them thicker at the bottom (to mimic the photo), and then finished with topcoat. I think I did pretty well at replicating the photo, but wish my black lines had come out just a bit thinner. The moth's markings are so delicate, I just wasn't quite able to capture it exactly. This is a design that I'd love to try in gel. Here is the original photo from /u/Toblerone44, used with permission. This isn't my first rodeo as far as unusual animal prints go! In the past, I've done goldfish scales, sea slug, poison dart frog, and manta ray nail art. Have you ventured outside of leopard/zebra print? How did you like it? The inspiration for these nails are cool! They look great. I saw this photo on Reddit too but it never occurred to me to turn it into nail art--very clever idea! Beautiful animal...never knew they existed. Love the interpretation! Super cute mani! And that moth is so pretty! 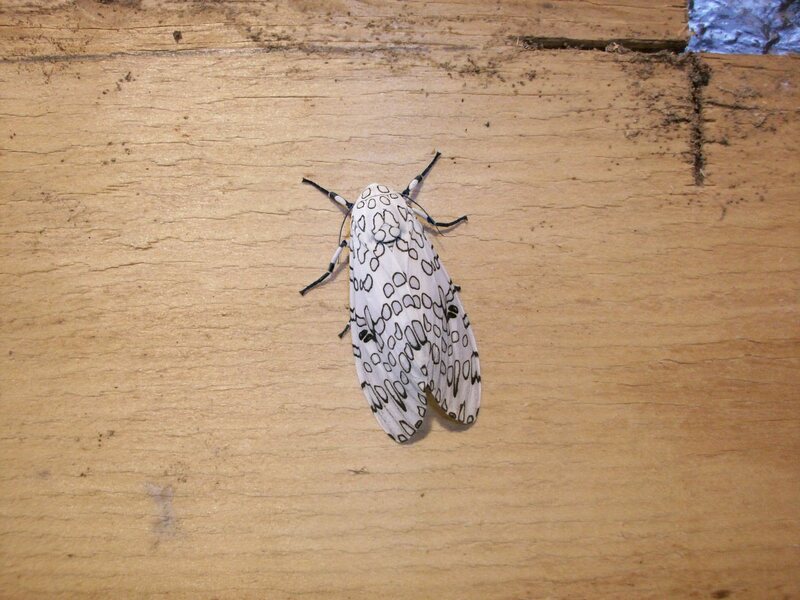 What a cool moth! LOVE the symmetric print it has, and you translated it so well to your nails :). Isn't it amazing what beautiful things nature creates?! 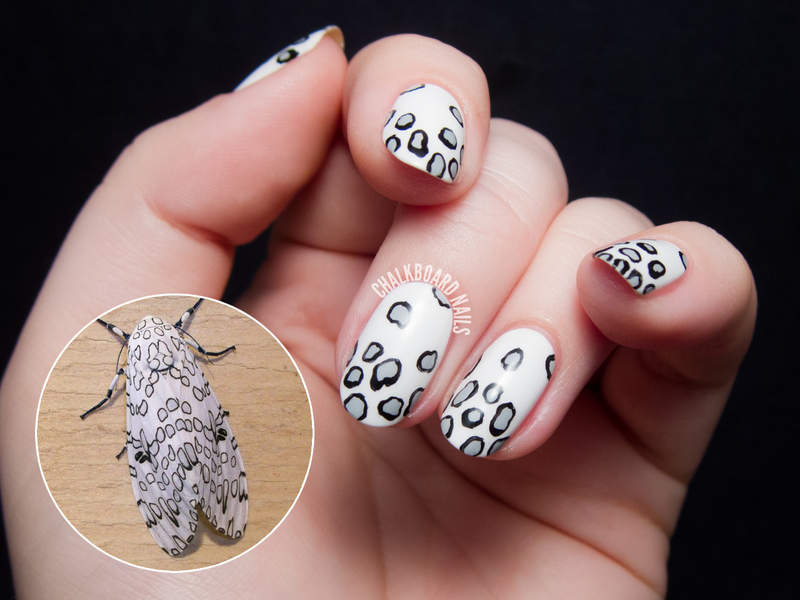 That moth looks pretty and you did a great job recreating its pattern on your nails! Love it.